The formulation of the eyeshadows is enriched with vitamin E and is 100% free of parabens, mineral oils, perfume and phthalates. Made in Italy. Retails for S$38 in Sephora Singapore. 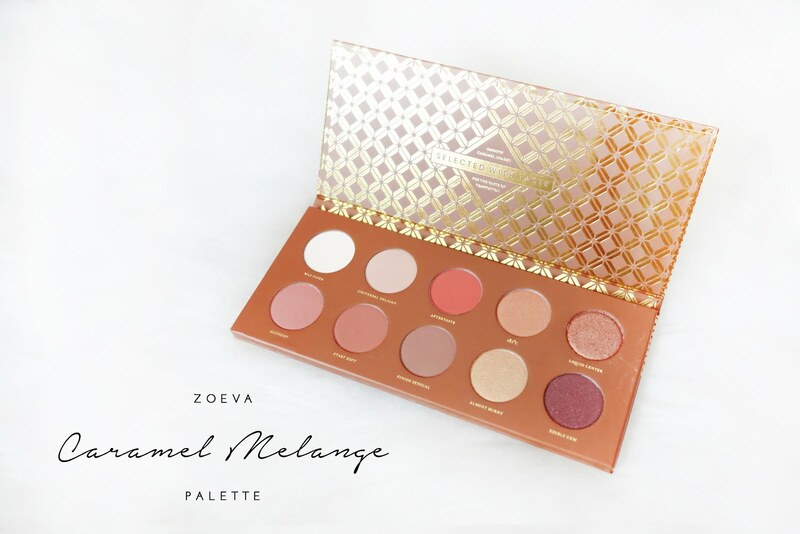 If you have been reading my blog, you would know that the Zoeva Cocoa Blend is my all-time favourite palette! The shadows are so amazing and pigmented and last through out the entire day even without an eye primer. This palette feels the same! 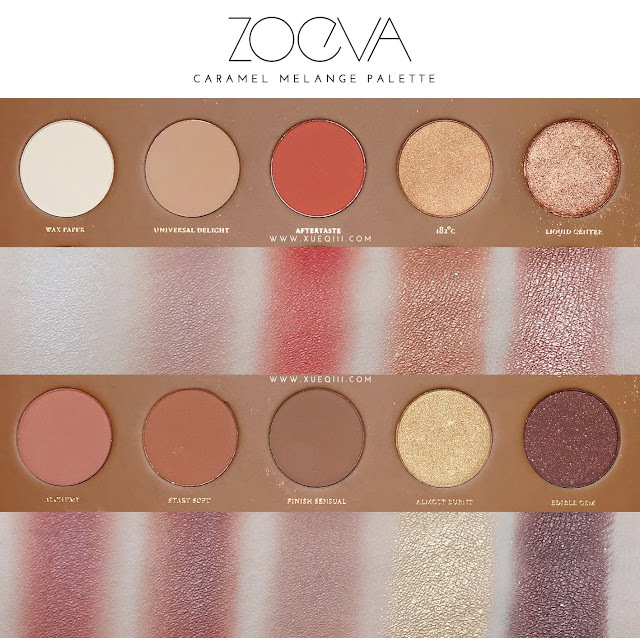 Zoeva never disappoints. 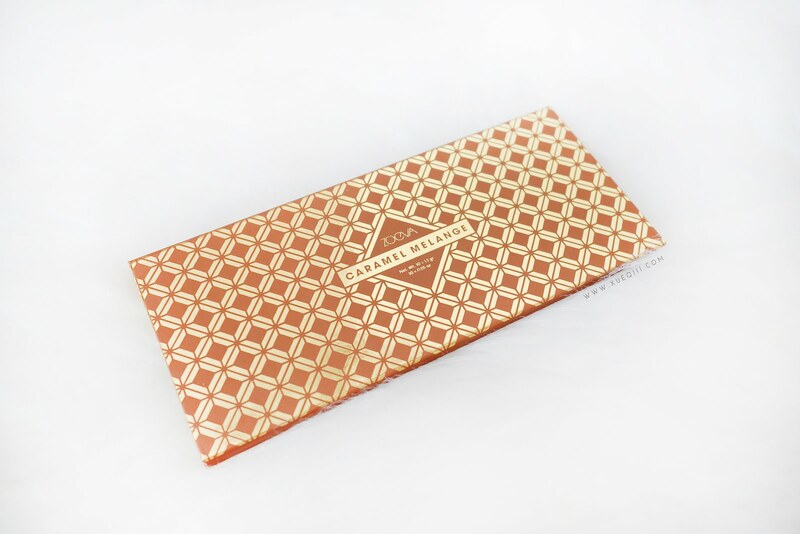 The packaging is pretty standard across all their palettes and I really love the compact size and thickness. This design looks like a pretty french pastry just out of the oven. The shadows comes in 4 finishes - Matte, Metallic, Pearl, Matte with Glitter. The upper row is filled with warmer shades of brown and oranges and a matte cream. Wax Paper is a matte white cream shade that's great for highlighting the brow bone and also setting your eye primer to start off with an even base. 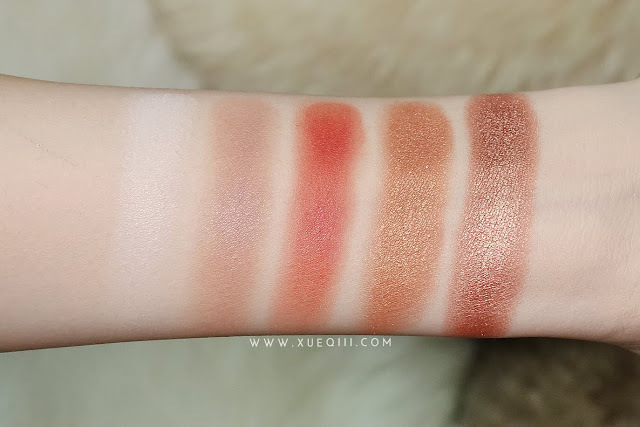 Universal Delight is matte warm beige with a slight peach undertone. Reminds me a little of Makeup Geek's Peach Smoothie. Works great as a transition and crease shade. Aftertaste is a matte bright reddish orange. 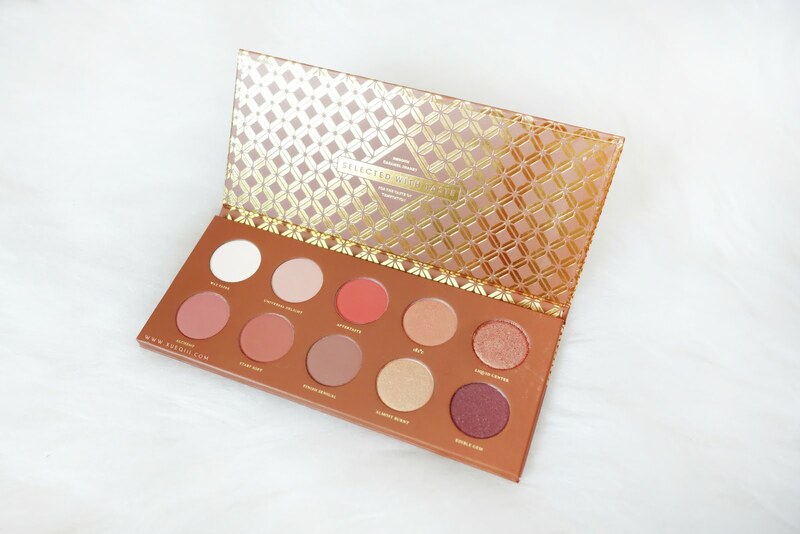 Perfect to add into your crease to warm up your look. 182°C is a shimmery warm copper. Very wearable shade for all over the lids. Liquid Center is a metallic rosey brown. 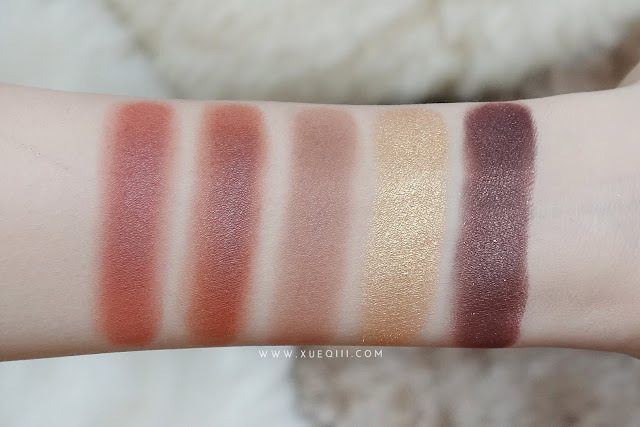 This finish looks like the Makeup Geek foiled shadows! Super amazing and delicious. Can't wait to put this all over my lids. The bottom row has darker and cooler shades. Alchemy is a matte brown with a peachy undertone. 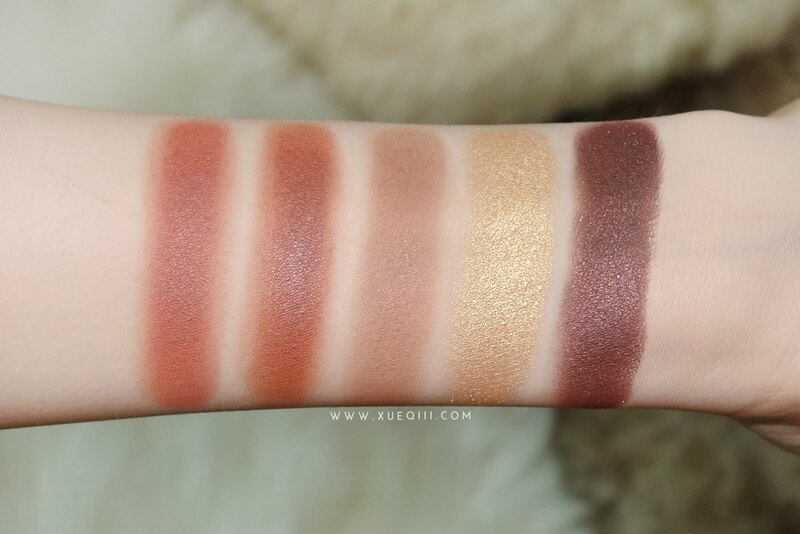 Great crease shade. Start Soft is a matte warm brown. Very close to Alchemy, just a tad darker and warmer. Finish Sensual is a matte milk chocolate. 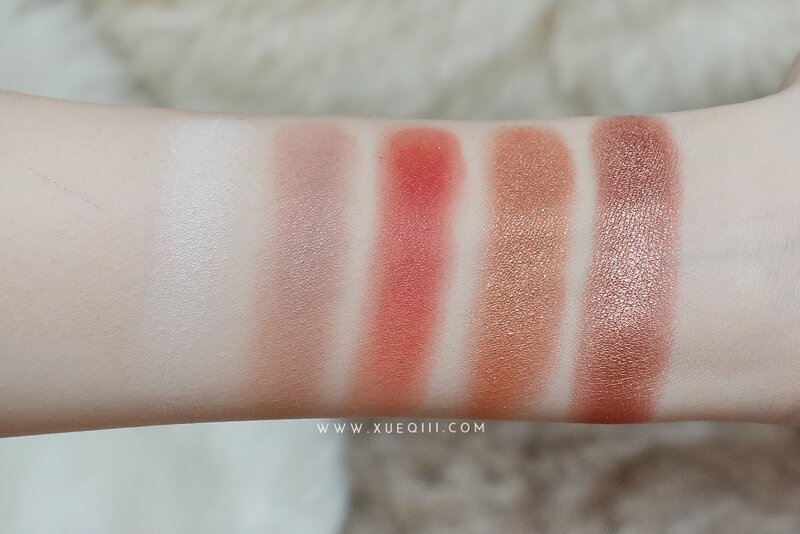 One of the cooler shades in this palette. Almost Burnt is a metallic gold. Edible Gem is a matte deep purplish brown with tiny golden glitter. 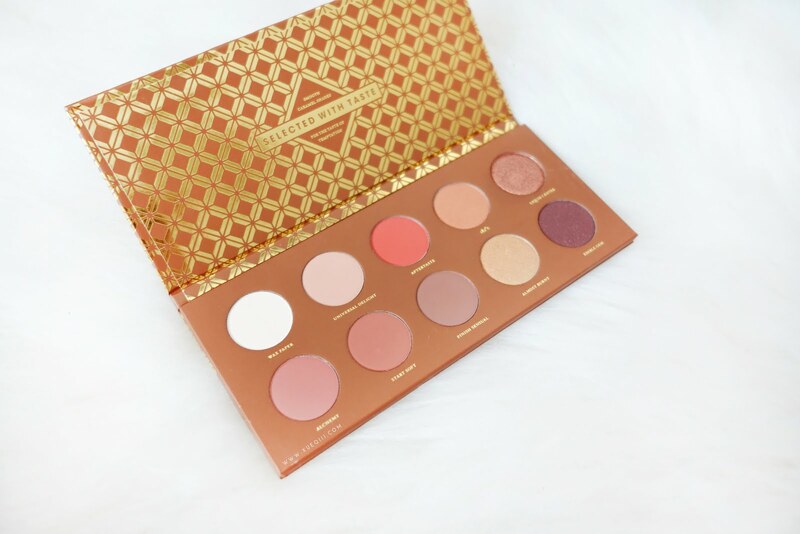 I am LOVING this palette! It has quickly become one of my favorites!